Azamat Tazhayakov partied often with his former University of Massachusetts Dartmouth classmate Robel Phillipos, even once in Manhattan’s Times Square. By the fall of their sophomore year, the two men saw each other several times a week, often with a mutual friend they knew as Jahar before the world knew him as a Boston Marathon bombing suspect. But on Tuesday, in a federal courtroom, the 20-year-old native of Kazakhstan was a convicted felon wearing a stiff smile, taking the stand as a government witness against Phillipos, who is charged with lying to federal investigators during the bombing investigation. In July, jurors found Tazhayakov guilty of obstruction of justice for being part of a group of friends who entered Dzhokhar Tsarnaev’s dorm room after the bombings and took incriminating items to protect him. Tazhayakov is scheduled to be sentenced next week and faces the possibility of 25 years behind bars. Speaking before jurors Tuesday during Phillipos’s trial, the inmate at the Essex County jail testified about the deal offered to him by prosecutors. “As long as I tell the truth, it might help me with my sentence,” said Tazhayakov who was allowed to wear a blue suit for his court appearance. 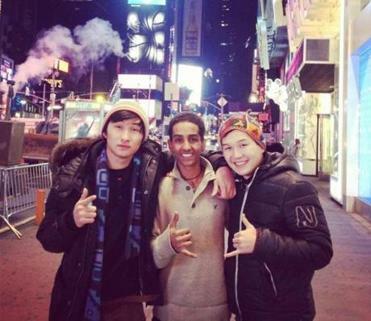 A photo presented as evidence showed Robel Phillipos (center), with Dias Kadyrbayev (left) and Azamat Tazhayakov in New York’s Times Square. Tazhayakov’s entrance into the courtroom on Tuesday was one of the more dramatic moments so far in the trial of Phillipos, a longtime Cambridge resident accused of lying to investigators about his whereabouts and observations the night of April 18, 2013. Prosecutors say Phillipos accompanied Tazhayakov and another friend from Kazakhstan, Dias Kadyrbayev, into Tsarnaev’s dorm room on the night the backpack, containing manipulated fireworks, was removed. However, Phillipos, 20, currently denies remembering being in the room that night. Robel Phillipos allegedly said he regrets not telling police about a backpack taken from the dorm room of Dzhokhar Tsarnaev. Tazhayakov testified for only 15 minutes Tuesday before court adjourned. The most critical part of his testimony, such as where Phillipos was the night of April 18, and his state of mind, is expected Wednesday. Phillipos’s defense attorneys contend that their client, who had taken the spring 2013 school term off, had developed an intense marijuana smoking habit and was “high out of his mind” the night of April 18. His attorney has said that one reason Phillipos was on campus that day was to attend a program related to marijuana violations from the previous school term, yet he smoked a half-dozen times that day. Even though prosecutors secured a confession from Phillipos on April 26 that he was in Tsarnaev’s dorm room with his two Kazakh friends when they removed the backpack, Phillipos’s attorney now says that the confession was coerced and that Phillipos has no memory of being there. On Tuesday, defense attorney Derege Demissie drew the full attention of jurors as he vigorously questioned FBI agent Michael Delapena about his interrogation of Phillipos, which led to the alleged confession. He portrayed the agent as a manipulative interrogator who kept a vulnerable, frightened teenager in a windowless small room for three hours. Delapena also acknowledged that Phillipos showed a great fear of being arrested that day and that agents waiting outside the room were once referred to in their talk as “wolves.” Delapena said he locked the door to the room at least once, saying it was a gesture to make Phillipos feel safer. But prosecutors assert that there was nothing coercive about the exchange and that Phillipos knew that he was free to get a lawyer or to leave anytime. They say the statement reflects the truth that spilled out of a tearful Phillipos, including that he saw “seven red tubular fireworks, approximately 6 to 8 inches in length” inside the backpack taken that day. Prosecutor John Capin told jurors that Phillipos’s description came before widespread publicity about the recovery of Tsarnaev’s backpack in a landfill, and reflects a strong memory. 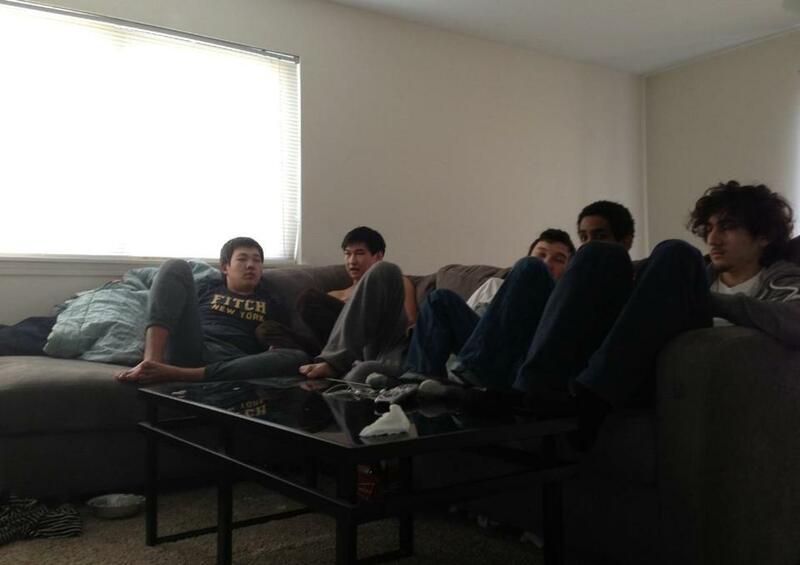 Another photo presented as evidence showed Dzhokhar Tsarnaev (right), Robel Phillipos (second from right), Azamat Tazhayakov (third from right), and Dias Kadyrbayev (second from left) in the New Bedford apartment in March 2013. Globe staff writer Laura Crimaldi contributed to this report. Patricia Wen can be reached at wen@globe.com.